It’s tough to compile a definitive anthology, especially when the volume contains only original fiction, but editor Nick Gevers tackles the challenge in his SF/F anthology Extraordinary Engines: The Definitive Steampunk Anthology. The collection is neither as definitive nor as strong as might be hoped. 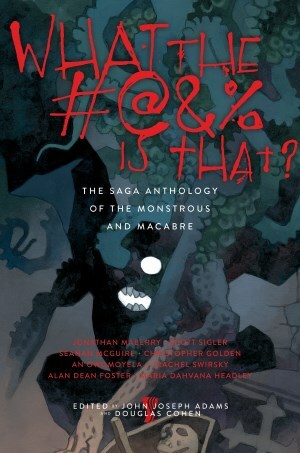 This is partly because, with the exception of contributors Jay Lake and Ian R. MacLeod, the most iconic authors of non-cinematic steampunk (Moorcock, Jeter, Blaylock, Powers, Gibson/Sterling, Di Filippo, Newman, Miéville, Pullman, Reeves, Alan Moore, and recent addition Cherie Priest) are absent from the collection. And, while the prose ranges from good to extremely strong, the ideas behind the stories are sometimes gimmicky. Some stories exhibit noticeable sag. Both gimmickry and drag are exhibited in the opening story, James Lovegrove’s “Steampunch.” Written in (at first) delightful archaic working class British slang, the tale becomes besotted with its own voice, going on too long for its predictable storyline and nifty shtick (giant, steam driven “mechano boxers” akin to rock ’em, sock ’em unmanned robot escapees from a faux Victorian anime). Lest you doubt: the first person narrator doesn’t get around to introducing himself by name to the man he’s buttonholing until page five of the story. A gimmick needn’t result in a gimmicky story, as Robert Reed demonstrates in “American Cheetah.” A description of this alternate-history tale -android Abraham Lincoln vs. mechanical James/Younger Gang in the Weird Wild West—makes it sound, well, bad. However, Reed transforms his seemingly slight idea into a tight and thoughtful meditation on memory, power, and responsibility. The best story is Margo Lanagan’s unpredictable “Machine Maid,” which wields the book’s finest prose to tell a disturbing tale of alt.Victorian colonials exploiting Australia and alt.Victorian men exploiting women. The racist, classist, and quite possibly deranged first person narrator resents both her rigid, inferior social role and the marital “humiliations” required of her by her husband, whom she calls Mr. Goverman. There’s a lot going on in this tight story; and the ending, while pellucid, leaves it up to the reader to decide whether Mrs. Goverman or another has perpetrated a horrifying crime. The anthology’s oddest (and the appellation of “odd” is meant as praise) story is Marly Youmans’s “Static,” which presents a world so coldly dry that static electricity is a perpetual hazard and lightning a busy butcher. The author provides many details of her highly weird neo Victorian setting, yet not in a way that lets readers grasp the gestalt of her fantasy world. Frustrating, but intriguing. Overall, Gevers’s Extraordinary Engines doesn’t achieve “definitive” status (for that, readers should turn to the historical-retrospective reprint anthology Steampunk, edited by Ann and Jeff VanderMeer). However, Extraordinary Engines should please many steampunk devotees, and win it some new fans.